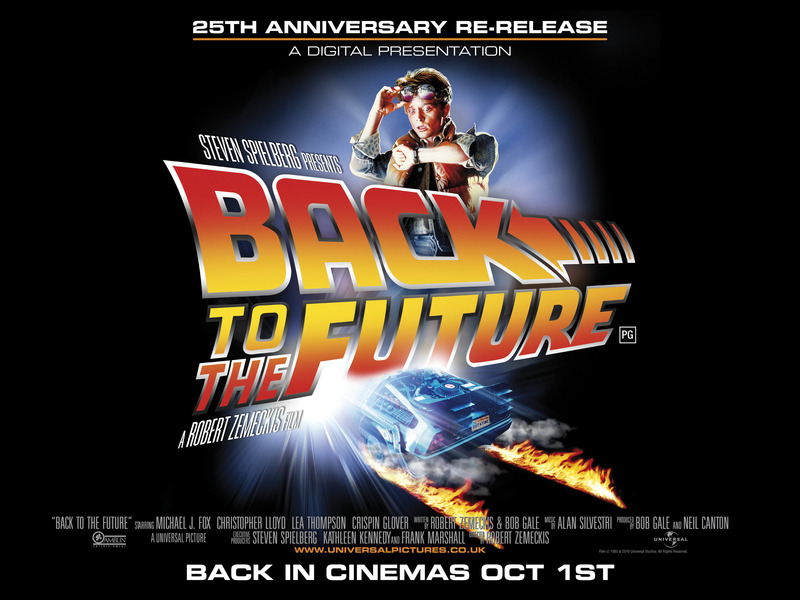 ‘Back to the Future’ will always be remembered as one of the best films from the Eighties. Everything about it was pretty much perfect for a family friendly time travelling comedy action adventure. For anyone who has not seen it yet (who are you??? ), spoilers are contained below. Teenager Marty McFly is an aspiring musician dating girlfriend Jennifer Parker in Hill Valley, California. His family is less ambitious; his father George is bullied by his supervisor, Biff Tannen, while his mother Lorraine is an overweight alcoholic who mainly reminisces about the past, such as how she met George in high school when he was hit by her father's car. 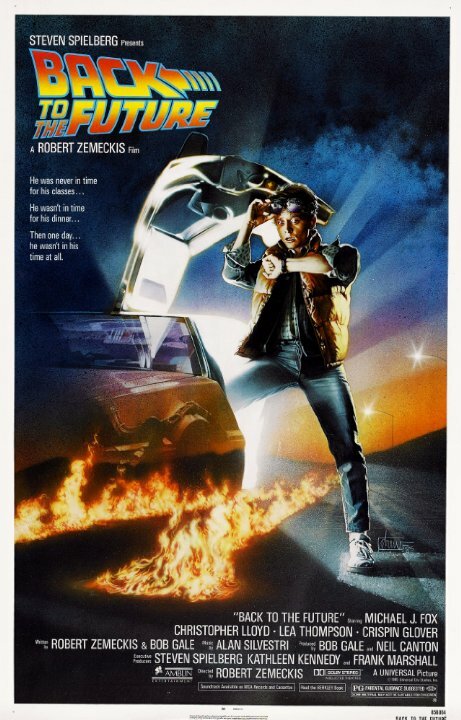 Marty meets his scientist friend "Doc" Brown late at night in the parking lot of a shopping mall, where Doc unveils a time machine built from a modified DeLorean. The vehicle's "flux capacitor" is powered by plutonium that he's stolen from Libyan terrorists. Doc tests the time machine by accelerating it to 88 m.p.h., sending it one minute into the future, and demonstrates the time circuits by entering an example date of November 5, 1955, the day he invented the flux capacitor. Before Doc can make his first trip, the Libyans appear in a van and gun him down. Marty escapes in the DeLorean but inadvertently activates the time machine, finding himself transported to 1955. Wandering in 1955 Hill Valley, Marty encounters the teenage George, who is still bullied by Biff, now a classmate. After Marty saves George from an oncoming car and is knocked unconscious, he awakens to find himself tended to by an infatuated Lorraine. Marty goes in search of the 1955 Doc, asking for his help to get back to 1985. With no plutonium, Doc explains that the only power source capable of the necessary 1.21 gigawatts of electricity is a bolt of lightning. Marty shows Doc a flyer he kept that recounts a newspaper story about a lightning strike at the town's courthouse the coming Saturday night. Doc formulates a plan to harness the power of the lightning, while Marty sets about introducing his parents to each other to ensure his own existence. Marty makes several attempts to set George up with Lorraine, but only antagonises Biff and his gang in the process, such as causing Biff to crash his car into a manure truck. Marty also attempts to warn Doc about his death in the future, but Doc refuses to hear it, fearing it will alter the future. When Lorraine asks Marty to the upcoming school dance, Marty plans to have George attend as well and "rescue" Lorraine from Marty's inappropriate advances. The plan goes awry when a drunken Biff shows up, pulls Marty from his car, and attempts to force himself on Lorraine. George arrives to rescue her from Marty but finds Biff instead; standing up to him for the first time, George knocks out Biff. A smitten Lorraine follows George to the dance floor, while Marty helps the band and ensures that his parents kiss for the first time. As the storm gathers, Marty arrives at the clock tower. Doc angrily tears up a warning letter Marty has written him, still fearing it will alter the future, and a fallen branch suddenly disconnects the massive wire Doc has run from the clock tower to the street. As Marty races the DeLorean at 88 m.p.h. toward the clock tower, Doc climbs across the face of the clock to reconnect the cable. The lightning strikes on cue, sending Marty back to 1985 ten minutes before he left it. Marty runs to the shopping mall, but arrives too late only to watch Doc get gunned down and his counterpart depart. After a moment, Doc arises with a bullet-proof vest thanks to Marty's letter, which he kept. Doc then takes Marty home and departs to 2015. Marty awakens the next morning to find his family changed: George is a self-confident, successful author and Lorraine is physically fit. Biff, instead of being a bullying superior, is now an obsequious subordinate to George and Marty. As Marty reunites with Jennifer, the DeLorean appears with Doc, dressed in a futuristic outfit, insisting they accompany him in the future. The DeLorean disappears into the future with Doc, Marty and Jennifer. The best way to view ‘Back to the Future’ is as pure entertainment. There is nothing philosophical or with a deep meaning in the film. Its just pure fun with some action and adventure. The acting is fantastic. Michael J. Fox is excellent as Marty and I can’t imagine the role being played by anyone else (especially Eric Stoltz, look it up!). Christopher Lloyd is a joy to watch, with all of his long scientific speeches and his reactions. The chemistry between the two actors is also excellent; there is a real feeling of friendship between them. This is what really drives the film on (as well as the sequels). The comedy is very subtle and may seem tame by a lot of people’s standards today. But it was very entertaining and watching Marty squirm at his mother’s advances is still a joy to watch. Watching the fish out of water jokes is also quite funny too, with all the (then) modern references that didn’t exist back in the 1950s. The music is still fantastic and perfectly balances the film. The main theme is memorable and stirs the action, as you would expect from a Star Wars theme. And Johnny B. Goode was brought to a new era of fans; I certainly hadn’t heard it before seeing ‘Back to the Future’ (I was only about 6 at the time). As I have said ‘Back to the Future’ is just pure entertainment. That’s why everyone remembers it. This is why people are still enjoying it nearly 30 years in the future.